The United States has maintained its leading position as Việt Nam’s largest export market having spent US$21.6 billion on Vietnamese products in the first half of the year, accounting for 19 per cent of the country’s total export value as of July 15. However, the US has strict standards that require Vietnamese export businesses to improve their capacity and take the initiative to cooperate and build new supply chains. Trần Quốc Mạnh, chairman of the Saigon Trade and Production Development Corporation (Sadaco), said the US was home to the highest market mechanism in the world. Its trade remedies such as anti-dumping were being applied strictly so that Vietnamese businesses must grow to promote their products in the market. “Wooden furniture is one of the five items from Vietnam that have the largest export turnover in the US. Businesses wishing to export to this market must ensure both productivity and quality,” said Mạnh. In addition, US orders for furniture are usually large with up to several hundred containers per month. Therefore, Vietnamese enterprises need to expand the scale and automate the production line to ensure the quality and quantity of supply, said Mạnh. According to Deputy Minister of Industry and Trade Đỗ Thắng Hải, the new changes in the US trade policy would have a major impact on Việt Nam’s export of many key products, so it’s not an easy task for Vietnamese businesses to maintain the current export turnover or boost export growth in the US. Hải said the Ministry of Industry and Trade (MoIT) encouraged Vietnamese enterprises to jointly build up a production and supply chain for export goods to the US market, thereby bringing more added value for Vietnamese goods. The ministry was ready to assist the businesses in this process, said Hải. James W. Fatheree, former vice president, Asia and acting head of Asia at the U.S. Chamber of Commerce, appreciated the cooperation between Việt Nam and the US. He said the US business community was looking at the Vietnamese market due to the country’s population, growth rate and economic reforms. US businesses highly appreciated the improvements to the business investment environment in Việt Nam, where political mechanism reforms and human resources as well as procedural conditions were gradually improving. The changes were a good basis for the two sides to complement and create conditions to increase cooperation. According to Nguyễn Thắng Vượng, head of the Department of European and American Markets under the Ministry of Industry and Trade, since the Vietnam-US Bilateral Trade Agreement came into force, two-way trade between the countries had continued to grow highly, up 47 times from $220 million in 1994 to $50.8 billion in 2017. Việt Nam is currently the 12th largest exporter of goods to the US and the 27th largest importer. Export turnover of the top 10 commodities to the US in 2017 was approximately $34 billion, accounting for over 80 per cent of total export value. The textile and garment sector continued to lead with $12.28 billion, accounting for 29.51 per cent of total export value to the US. It was followed by footwear with $5.11 billion, phones and components at $3.7 billion, and computers, electronic products and components, wood and wooden products at $3.26 billion. 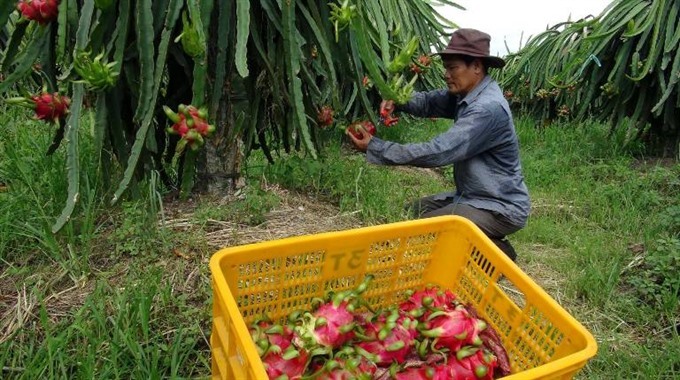 Trade experts said that the US would remain a key export market for Việt Nam in the near future, but some strict regulations and standards for imported products would raise production costs. However, in the long run this would promote sustainable development if businesses were adaptable and implementing food safety regulations. A shift to less stringent markets was only a temporary solution, not sustainable and long term, especially for businesses that had established a foothold in the US market. Experts said that in order to reduce difficulties for enterprises, the Government should issue guidelines to minimise administrative costs and support enterprises through trade promotions. The National Trade Promotion Programme should identify those who were capable of adapting to the market, maintaining partnerships, being socially and environmentally responsible, building branding and sustainable development. In addition, changes to US trade policies needed to be quickly understood in order to develop appropriate solutions to assist enterprises as they shift their production and business strategies in order to maintain their export advantage in the market. Việt Nam must also step up the process of building a fair and transparent legal system. This was a key factor to attracting foreign investment and creating favourable conditions for domestic enterprises to develop./.